Are you living in Mexico or USA or plan on going there? Then don’t forget to pick up the welcome bonus at Bovada! 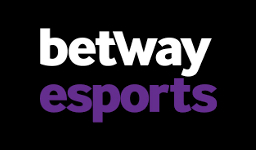 This might not be the number one place for eSports betting, but the bonus bring some value to the site and the eSport coverage is generally good. The amounts of matches covered may vary from time to time, but most popular eSport games are being offered. Should you be a fan of bitcoins, you will be pleased to find that you can get twice as much out of the welcome offer! 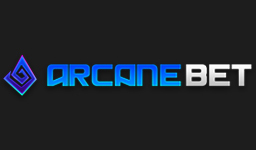 Head on over to Bovada by clicking the button below or find out more about this bookmaker by reading the complete review! To activate the 50% up to 500$ bonus, deposit code BVSBITCOIN50 needs to be entered while making a deposit with Bitcoins. Bonus + deposited money needs to be wagered 5 times. There are no minimum odds needed. For winning bets only the net profit will count towards the wagering. 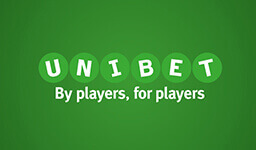 For instance, if you win a bet of 100$ placed with odds 1.5, your net profit is 50$ (150$ won – 100$ bet). In this case 50$ would count towards the wagering, whereas if the bet was lost 100$ would count towards it. If a withdrawal is made before the bonus is wagered, the bonus + all money earned while wagering the bonus will be lost. 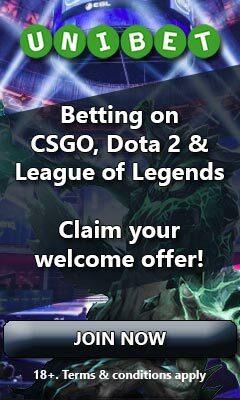 If you’re a US citizen or temporarily living in the US, then Bovada might be the place for you as they are one of few sites allowing US residents. When it comes to eSports they are however a bit of a wild card with the coverage. Sometimes it can be really good with a lot of matches covered and several different markets to bet on, but then at times you find them only covering a few matches from a tournament being played, whereas other sites have plenty. Even though their coverage may vary, you can expect to find games such as LoL, Dota 2, CS:GO, Starcraft 2 and Overwatch. At Bovada withdrawals are usually processed within 24-48 hours. Unfortunately there is no way to speed this up, but they always do their best to have it processed as soon as possible. When it comes to settling of bets, these are settled as soon as their sports team receives official results. Usually this means you don’t have to wait too long, but there are unfortunately exceptions where it may take up to 48 hours. At Bovada you will be able to find quite a decent casino. They offer more than 200 different slot machines, several different types of video poker and also some table games like black jack and roulette. On the downside they do however not have any live casino available so if gambling while looking at some pretty ladies is your thing, you might be disappointed. Delaware, Nevada, New Jersey, New York.